The Bingham String Quartet has gained an international reputation for its interpretation of the classical repertoire and fresh and exciting approach to new music. It has toured extensively in the United Kingdom and also performed in Europe, Australia, and the Middle East. Regular appearances in London include concerts at the Purcell Room and St Martin in the Fields. The quartet has performed and recorded with many other notable musicians including clarinettist David Campbell, pianist Nigel Clayton and cellist Raphael Wallfisch. The Quartet’s education activities have included several residencies, a busy programme of visits to schools and music centres, and a variety of coaching courses. 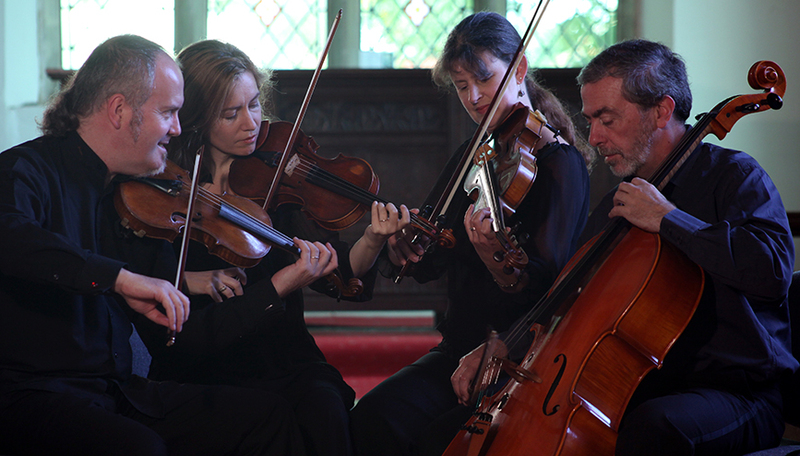 Amongst the Bingham String Quartet’s notable recordings are the middle period quartets of Elizabeth Maconchy, two CDs of the quartet’s own commissions from young British composers and a musical version of Dickens’ “A Christmas Carol” by Richard Allain, narrated by Richard Stilgoe. Several other albums are also available which include works by Shostakovich, Barber, Haydn and more.